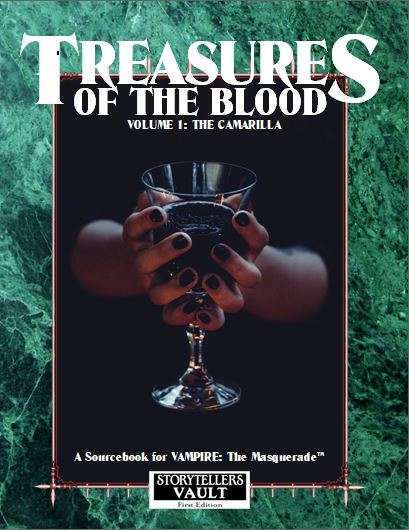 Since their introduction in the Storytellers Guide First Edition, relics of the blood have occupied a niche in vampiric lore. Caine’s blood animates the undead form, provides the powers of legend, and regenerates the most grievous wounds. The possibilities, however, are not limited to physical manifestation, but can imbue relics with a mystical – and some would clam spiritual –resonance. Enough leeway for Storytellers to add to each relic and personalize the stories for local chronicles. On Page 17 of the pdf, there is a formatting error.